Please note that the garden plan above was drawn several years ago. It is not offered as an accurate representation of the garden, but rather as an indication of the broad range of native plants you can see on display. 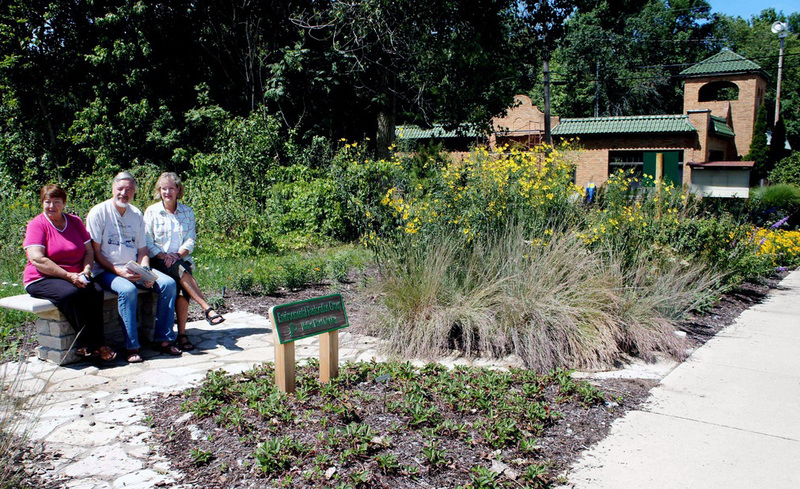 The plants that are now growing in the garden have been resiliant in the unique conditions of the Indiana Dunes and as a result provide a good guide to native plants that can be used successfully by local gardeners. The following article by Bob Beglin appeared originally in Sand Tracks, September 2011. Don't miss the native plant demonstration project along the west side of Broadway between the South Shore tracks and Service Avenue. The project is ERG's effort to enhance the environmental awareness of the community. 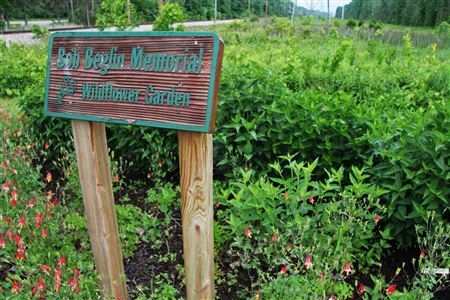 It has been developed in response to questions by residents about planting native species on their own properties. Residents wanted to know what plants would grow well, look good, and simultaneously not be fodder for deer. Planting began in May and June of 2010, and could not have been completed without the generosity of NIPSCO in allowing their property to be used, the endorsement of the Beverly Shores Park Board, and the expertise of J. F. New & Company in helping with plant selection, in addition to the physical labor of dedicated volunteers. Even the Beverly Shores Fire Department helped during the scorching hot days by spraying water. Additional plantings were made in the fall of 2010. The plants straddle the entrance to the Calumet Trail, and contain identifying markers, such as: Big Blue Stem, Little Blue Stem, Rattle Snakemaster, Broad-leaved Purple Coneflower, White Wild Indigo, Butterfly Weed, Black-eyed Susan, Wild Quinine, Wild Lupine, False Sunflower, and Aromatic Aster. Many of these wildflowers are the same species you may see along the roadways, trails and back yards of Beverly Shores. Ultimately, all the plants will have an identifying marker. Residents are encouraged to wander and relax alongside this unique entrance to our town. 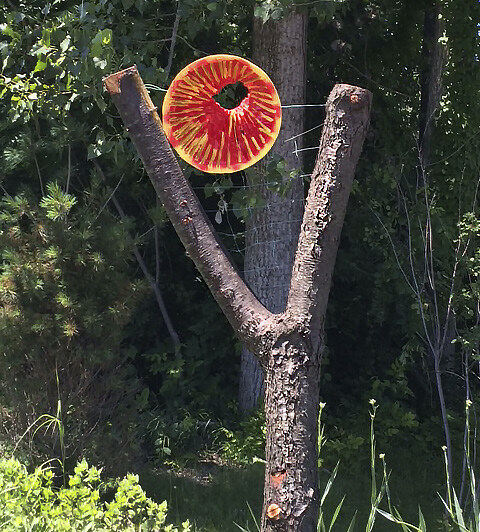 You may even adapt some ideas for your own natural landscaping projects.